It’s time for the second step of Leo’s Mane. The centre section of Leo’s Mane requires 16 star units as shown in the photo. These require 64 of the centre kite papers. 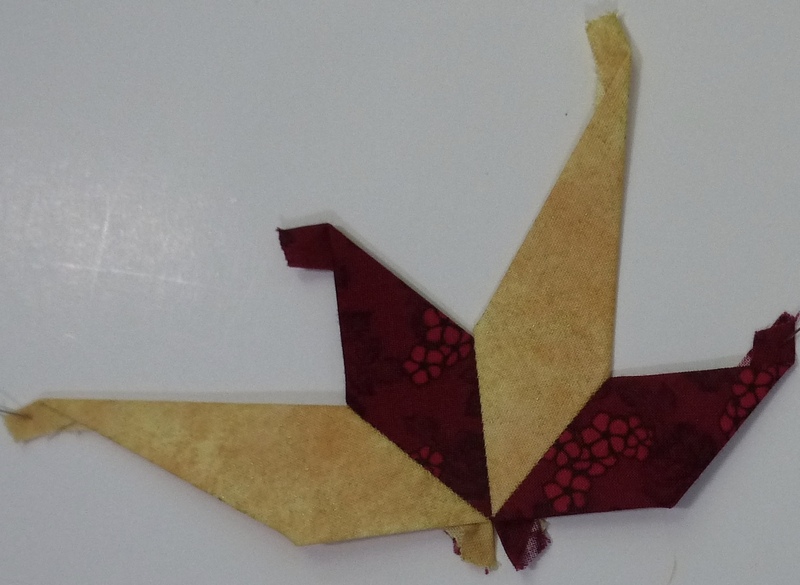 Using your preferred method, baste your fabrics to the papers. Sew them together into the configuration shown in the photo. Now it’s time to put the stars and the diamonds together. 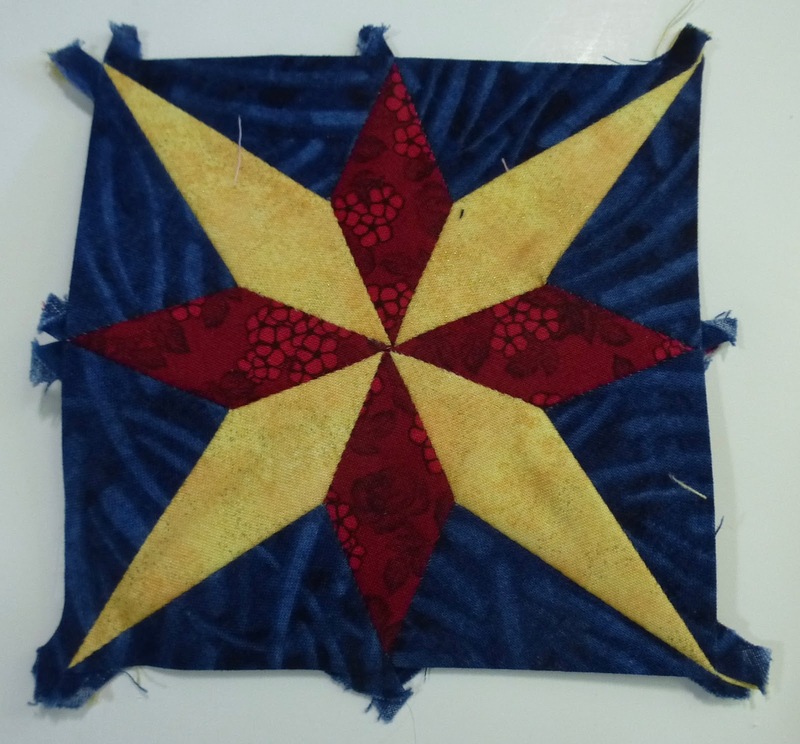 Arrange the stars, making sure that the colours of the points come together in the centre. 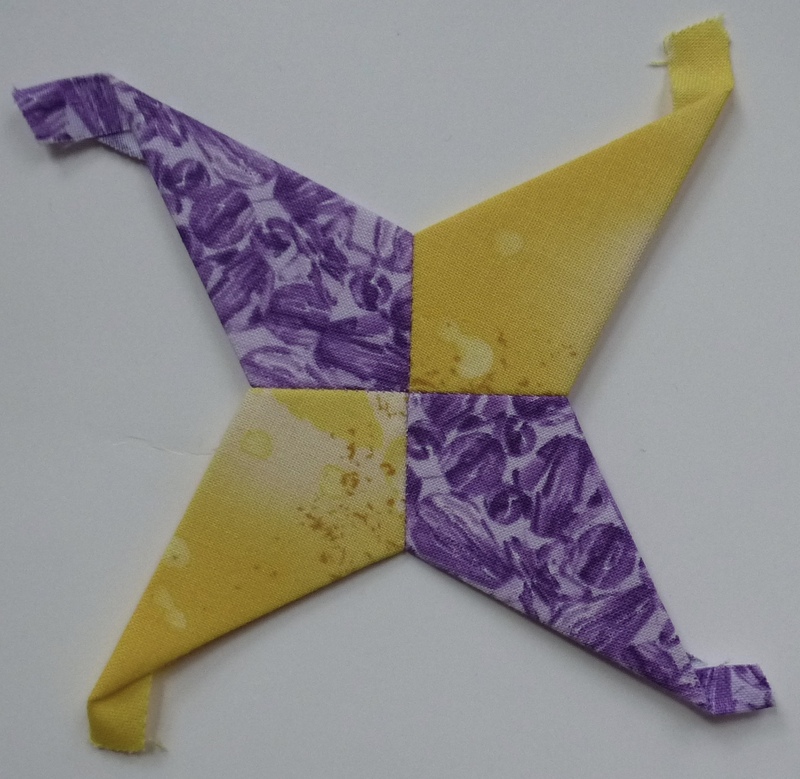 A finished single star/diamond unit will look like the photo below. 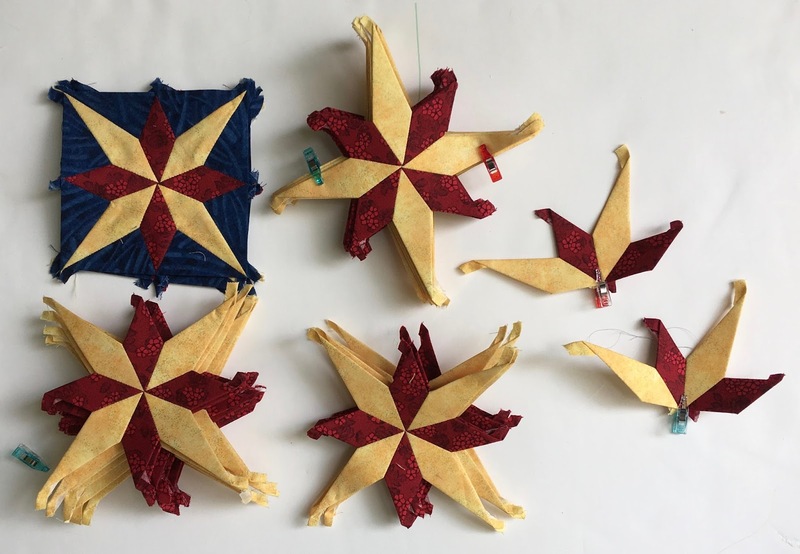 Sew a diamond unit in between a pair of stars, as shown below. 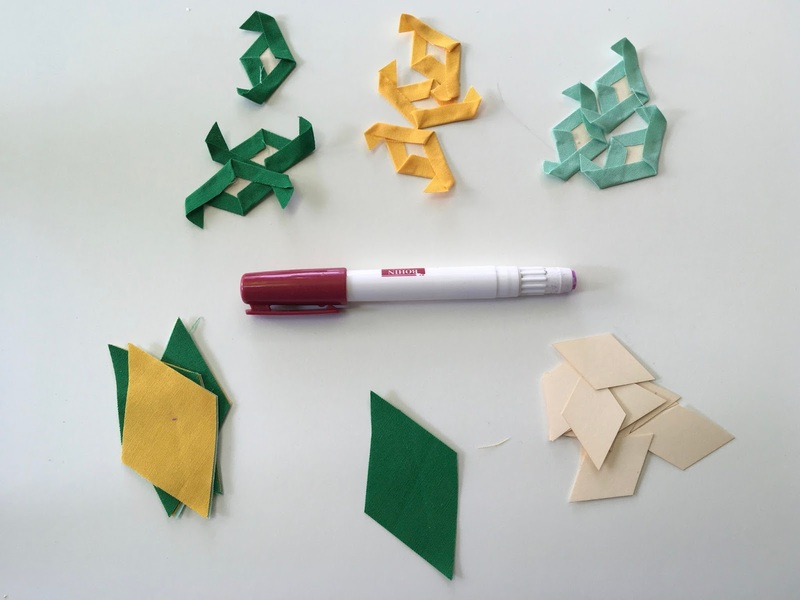 Make 8 of these. 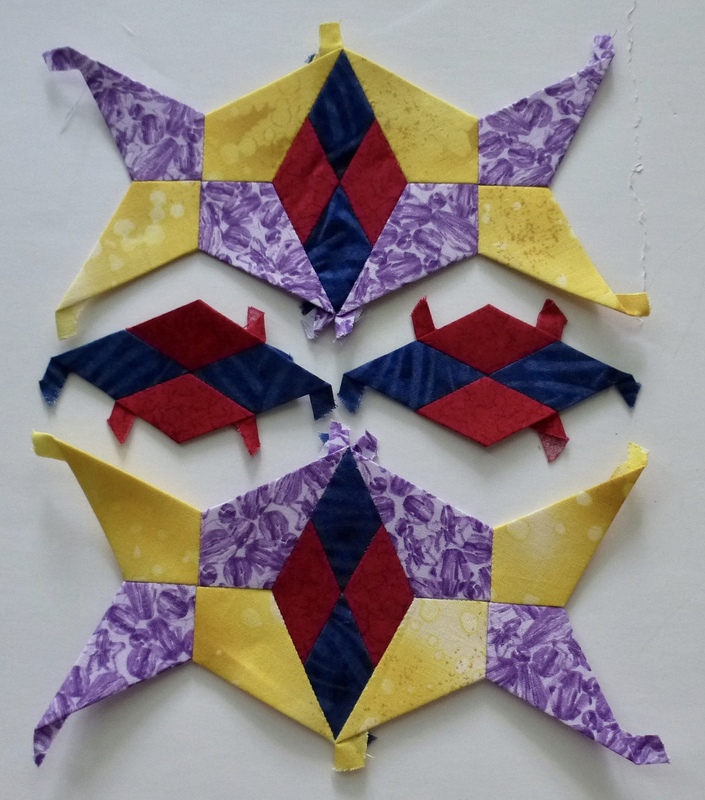 Place two diamond units in between two pairs of star/diamond units and sew together, as shown below. 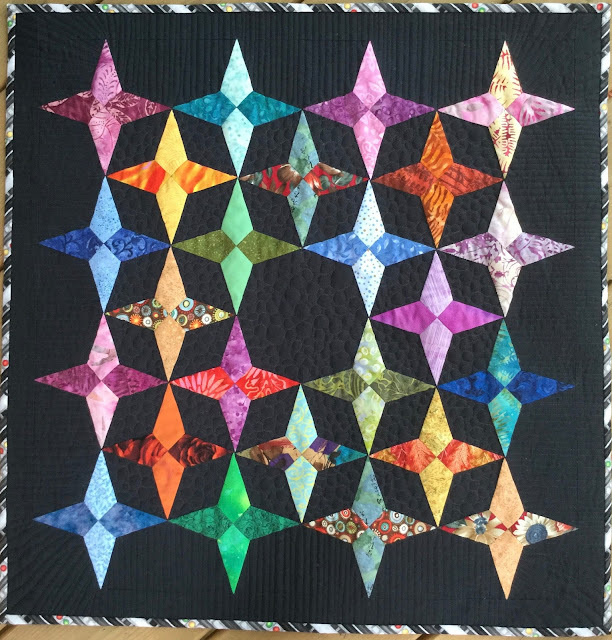 Make a total of four finished star/diamond units. I’ve put Leo’s Mane aside for a few days. The third border is well on its way to being finished, and I wanted to put some stitches into a project I started a while ago. 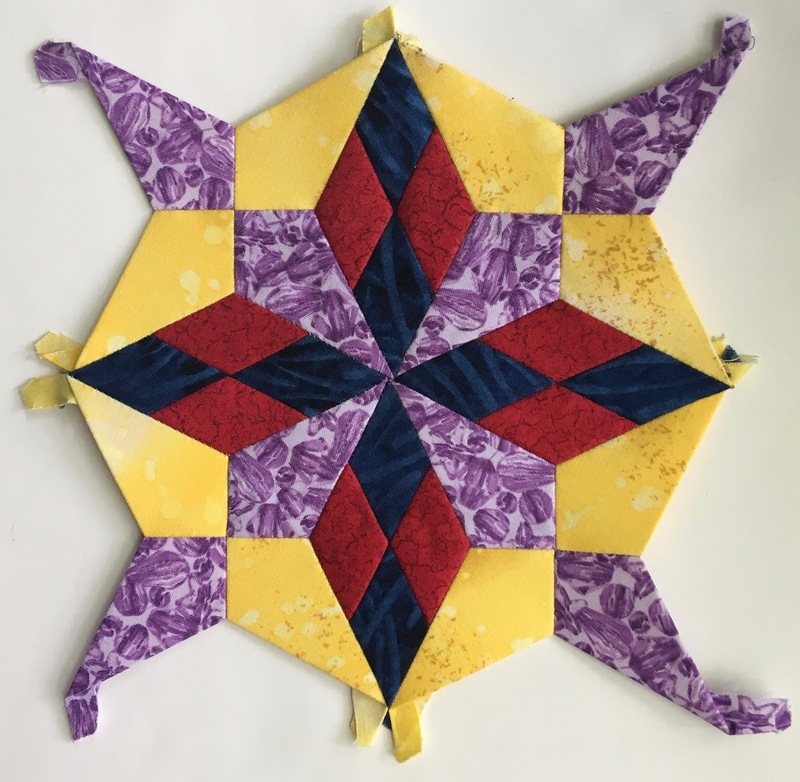 It’s called Creme Brûlée from Willyne Hammerstein’s second Millefiori Quilts book. I’m doing some preparation of diamonds and triangles, getting ready for stitching. I’m a glue baster when it comes to English Paper Piecing. I’d rather save my sewing time for actually sewing them together, rather than basting. Almost ready to start sewing the contrast triangles and diamonds onto the next three rosettes. I’ve started putting some of the rosettes together. This is partly why I set this project aside a while ago. 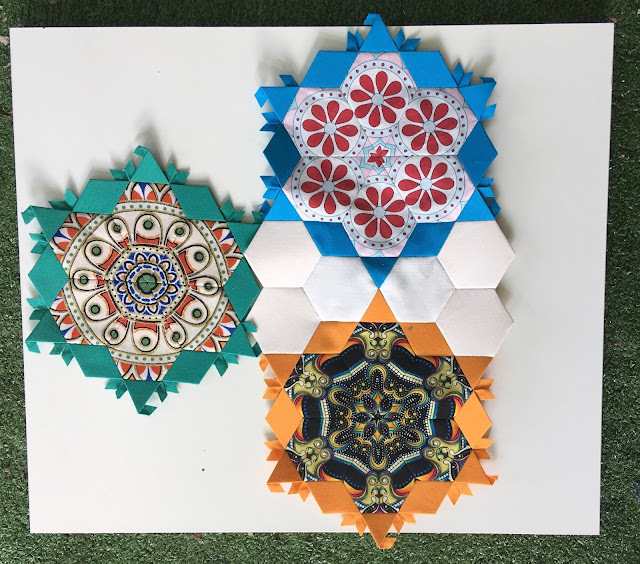 I couldn’t decide what to use for the filler hexagons. I finally decided on basic Kona Snow. There is enough going on in the fussy cut centres, that I didn’t want to add anything else. I have all kinds of fabrics left over from doing La Passacaglia that are perfect for fussy cutting. 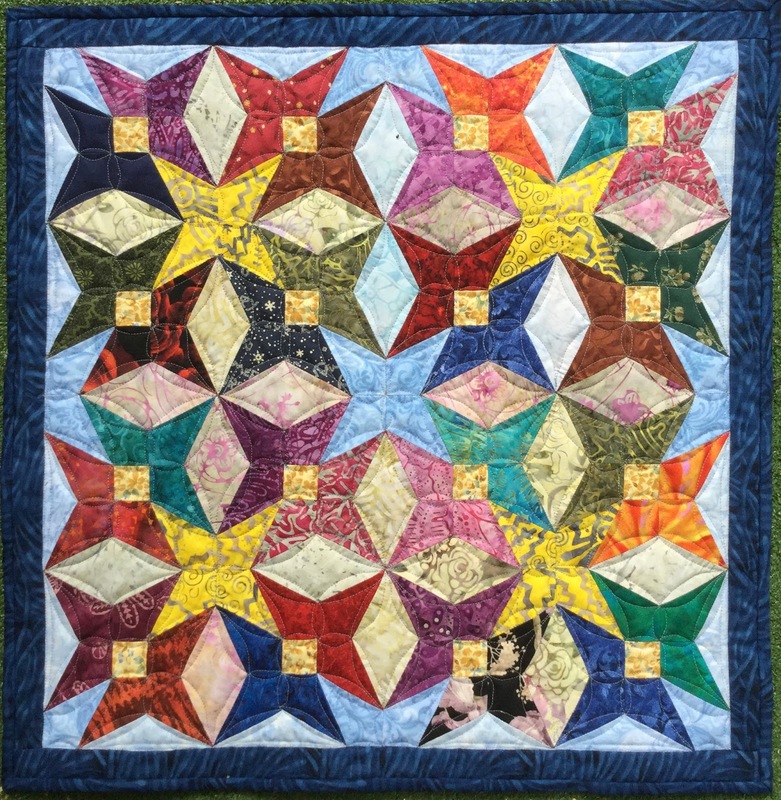 Also left over from La Passacaglia are Kona solids in all kinds of brights and soft colours that are perfect for the framing triangles and diamonds in these rosettes. The rest of today is going to be spent sewing on these. It’s gloriously hot and muggy outside. Almost too much so, but I refuse to be driven inside. All too soon now, it will be too cold to be outside, so I’m enjoying it while I can. So close, so very close to having the stars for the third border finished. I have 26 out of 28 done. Then all I have to do is add on the background triangles, and they are completely finished. Another week or two, maybe? This is what I will be doing this afternoon, while outside on the swing, enjoying the glorious mid September day. 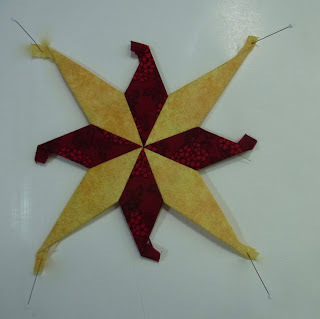 I’m linking up to Kathy’s Slow Sunday Stitching and then going back to enjoy more stitching. I have two finishes, finally. I put the speed on to get them done for the first guild meeting of the year. Sometimes it take some sort of incentive in order to get the gears moving. These are both English Paper Pieced, and the result of my recent fascination with the kits shape, which is what forms the points of the stars. Leo’s Mane Centre Diamonds Instructions. Welcome to the first step of the Leo’s Mane Sew Along. 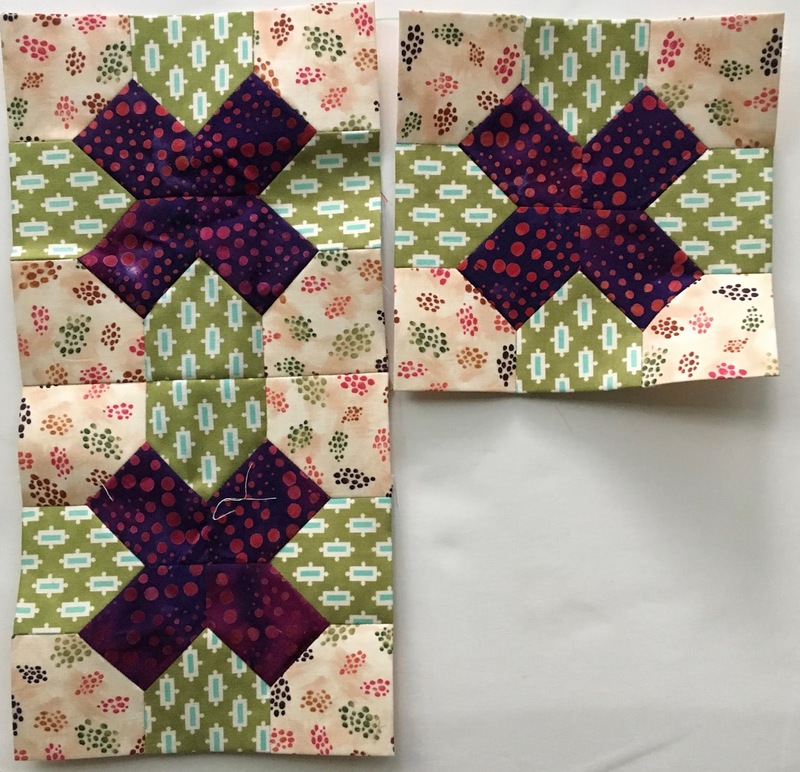 I hope you are as excited to start sewing as I am to start sharing. The first step is to do the diamonds for the centre. Your finished diamonds will look like this. You will need 96 Centre Diamond papers to make these units. Cut 48 red diamonds and 48 blue diamonds from your fabrics. Baste them to the papers using your preferred method. Sew them together into 24 diamond units. 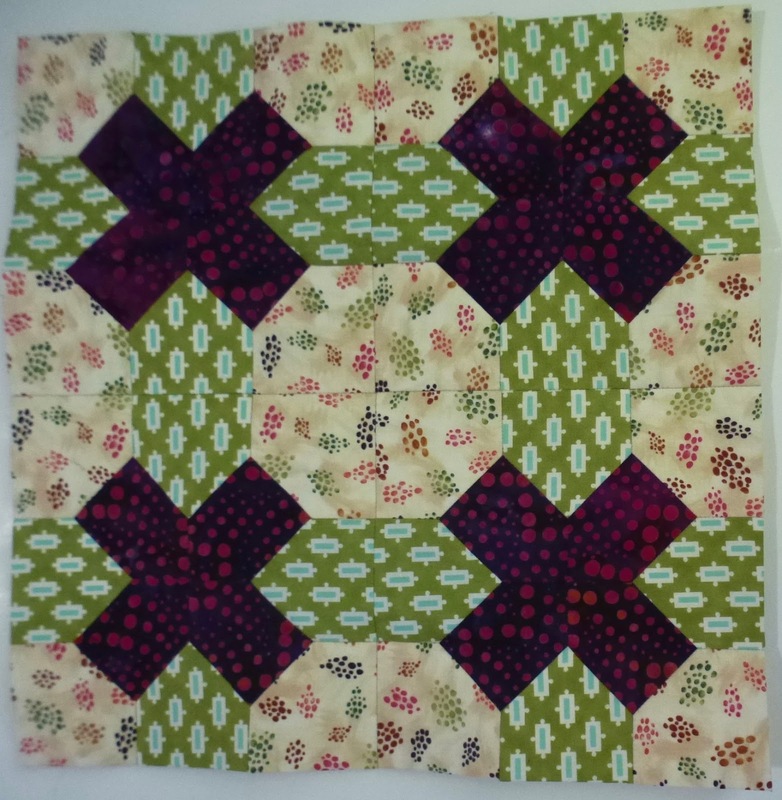 This is based on fat quarters. Cut 5 strips of 1 1/2 inches from each of the diamond colours. Stack the strips four high, wrong sides facing up. Using a washable glue slick of some sort, Elmer’s school glue will work for this, lightly glue paper diamonds down the length of the top strip placing them at last 1/2 inch apart to give the seam allowance. Using a rotary cutter and ruler, cut the diamonds apart. That’s it for this time. The next step comes out October 1st. I finished the sample for the workshop Charlene and I are planning. 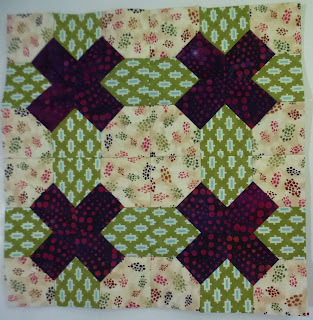 It still needs to be quilted and assembled into the pillow top it is destined to be. So, I’m back to Leo’s Mane again, working on the third border. 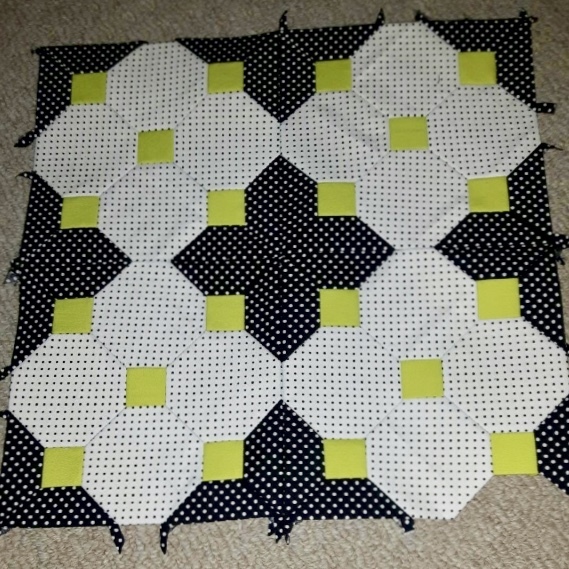 I thought this was going to be a slow going fiddly one, but it’s actually much faster to sew together than I thought it would be. I started with making pairs on Wednesday. Pairs then became quadruplets. And quadruplets became stars. Finally, they need their background triangles. 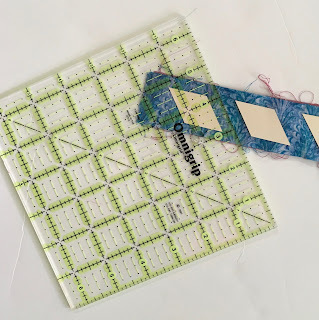 This will give me a really good idea of how to pace out the posting for the instructions, and how much to include in each one for the sew along in each step. If you are interested in joining in, email me at eagleswingsquilts@icloud.com and I’ll send you out the information that’s been released so far. The first set of actual instructions will get emailed out on September 15th, as well as getting posted here on the blog. 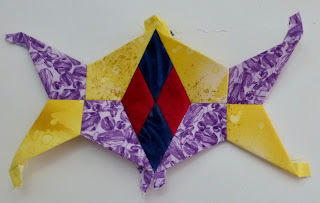 I’m linking up to Kathy’s Slow Sunday Stitching and then I’m going to make some more pairs. I’m taking a short break from Leo’s Mane, and working on a smaller English Paper piece. My quilty friend Charlene and I are are putting together a joint trunk show presentation and also some workshops that we will be offering for guilds, starting in the spring of 2018. In order to have workshop samples, we are putting them together now. 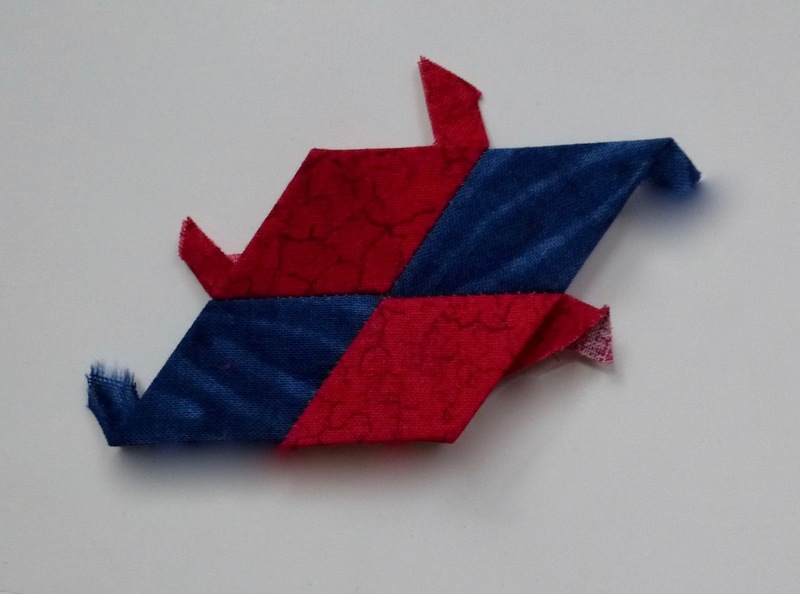 We are using three of the blocks from Leo’s Mane, enlarged slightly, to make them easier to work with for people who haven’t done English Paper Piecing before. 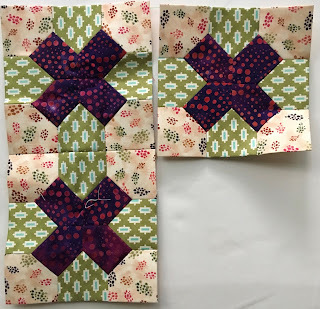 These will end up at 14 inches square, once they are finished. I’m working on the one using the house shapes. Charlene put together the one using the octagons. 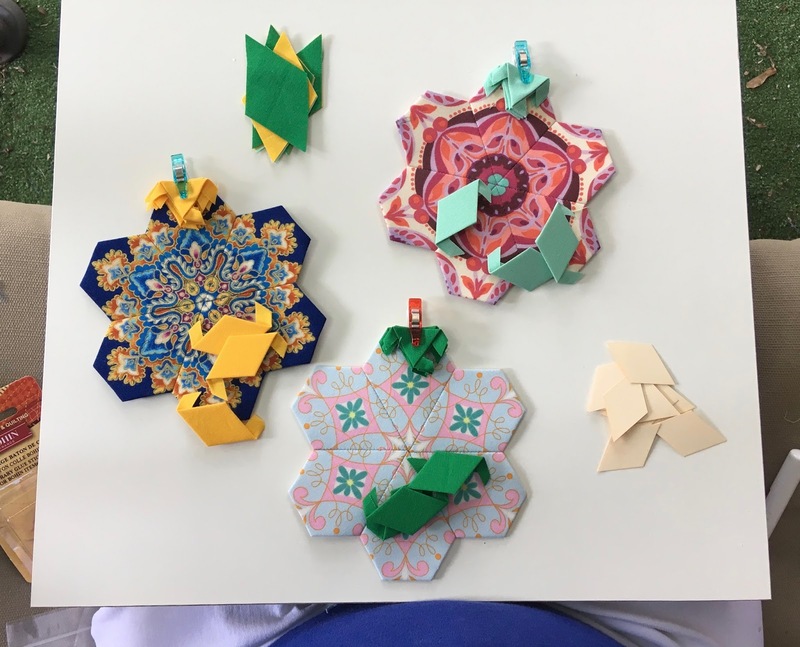 There will be one other, giving the workshop participants a choice from three designs. I’ll post contact details and other information here on the blog once we know more about the workshops and the trunk shows. I do know that we are going to be limiting our travelling to within 2 hours of London Ontario. 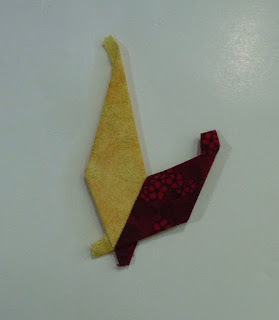 I’m going to link up to Design Wall Monday and then get back to more stitching. I’m hoping to have this block finished tonight.